There is a minor tradition wherein English-language novels are set in Mexico. It’s a spotty canon*, due in large part to the challenges faced by foreign authors wanting to write of Mexico while also feeling a need – or more fairly, a requirement – to explain the country to their readers. 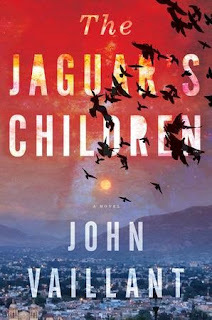 Good news: the celebrated non-fiction writer John Vaillant has now raised the standard with The Jaguar’s Children, his first published novel. Our protagonist is Héctor, a young Zapotec from Mexico’s southern state of Oaxaca, trapped with 14 others in a water truck en route to the United States. Abandoned by his smuggler, Héctor reaches out to an unresponsive American contact on his friend César’s phone, one “AnniMac”, first texting then recording his dire predicament. This is how the novel is told, in “first-person Zapotec.” It’s a conceit that gives us access to Héctor’s world – his personal history, his hopes, and his desperate situation. The narrative is amplified by the mere presence of César, a brilliant young scientist on the run with the goods on “SantaMaize”, a Monsanto-like company that is genetically modifying corn with terminator technology. César is unconscious during the telling, leaving all the work to Héctor, who must keep talking to keep his (and our) hopes alive. One of the successes of the novel is how it parries the real horror and claustrophobia of being trapped in a small, dark place, with Hector’s expansive remembering. We learn a lot about Hector’s family history, and the world he comes from. The stories are the plot, providing background for the boys’ plight. But it’s a risky ploy, too. When writing of Mexico, authors from English-speaking countries usually avoid the first person, unless that person is their fictional alter-ego. By deciding to go down this road, and by making his hero indigenous, Vaillant gifts himself an opportunity, but also assumes some responsibility. If he romanticizes indigenous culture, he is pandering – even racist. Yet to run a critique through a voice is a tall order. Having the story told by a young man helps, particularly if that young man believes he is reaching out to to a person who, like the reader, might have limited knowledge of Mexico. The book works also because telling Héctor’s story seems necessary. Vaillant’s extensive research, as well as his liberal use of Spanish, add verisimilitude where another approach might have failed. Héctor is an innocent and his need to explain to survive feels real. This is a nice synthesis. The narrative voice is not overly devoted to expository stevedoring, with Mexico unloaded on our shores. And it doesn’t get bogged down with contrived explanations. A novel shouldn’t read like a Wikipedia entry, yet if a protagonist assumes his audience knows Mexico as he does, swaths of readership will be left in the dark. It’s a difficult balance to achieve, yet Vaillant pulls it off. The narrative structure also allows the author’s non-fiction pedigree to serve him well. Vaillant is the author of “The Golden Spruce: A True Story of Myth, Madness and Greed” and “The Tiger: A True Story of Vengeance and Survival.” These books have been well-received for their rich story-telling and meticulous research. Reviewers have applauded, and readers have become converts, to Vaillant’s high-stakes narratives. But what often gets unmentioned – and what is on full display in The Jaguar’s Children – is that Vaillant’s default mode, even when dealing with the most difficult characters, is compassion. If Vaillant can make you feel for a drunk tiger poacher with an illegal firearm and anger-management issues, imagine what he can do from the point of view of a good kid making a run for the border while trapped in a water tanker. There is no doubt that Héctor and his fellow travelers are fine people. 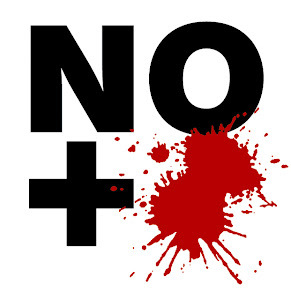 The moral counterweight in this pseudo-fictional world, which is Mexico’s analog to the North’s emergent corporate dystopia, are the political class in Oaxaca and the shadowy forces behind SantaMaize. Power has been hijacked by these bad actors and, for the poor and the indigenous, Vaillant seems to suggest that life is much like that in the water tanker, a place where there are few options and little hope. Salvation won’t come from the powerful, and decency doesn’t trickle up. For the oppressed, kindness and the care of friends and family are their own salvation. Oh, and it helps if you’re lucky, too. There are a few tells that Vaillant is writing from the outside looking in. He calls out the cultural observations made by Mexican Nobel Laureate Octavio Paz without mentioning the referent: Paz’s seminal work, The Labyrinth of Solitude, written 65 years ago. Paz’s book-length essay is a popular oracle for academics and slumming foreigners. It’s a classic, but it isn’t read much these days – certainly not by Mexican youth. Then there is César, the smart kid in the village, who lends Héctor his copy of Roberto Bolaño’s Savage Detectives. Writers love Bolaño. But kids in Oaxacan villages? Perhaps. It is Mexico, after all, where stranger things have happened. We are reminded that the Mexican president Benito Juarez was a Zapotec who hailed from a humble village in Oaxaca. César, it is clear, now carries that torch. There is also a very brief section where Héctor’s biological grandfather, an American archeologist, tells Héctor’s grandfather that he and Diego Rivera ate human flesh. I held my breath. I thought for a moment that Vaillant was going to channel D.H. Lawrence. Then it passed, and the off-notes were silenced. In the end, it works. The story holds the reader with an affecting narrative, vivid language, and a whole lot of truth. Vaillant brings Oaxaca alive. I haven’t been to the Abastos Market or seen the tree at Tule in many years, yet I was just there. The jaguar as symbol and metaphor stalks the narrative from start to finish. The reader is engaged until the final period, and the last breath. * A few examples of well-known English-language novels set entirely or in part in Mexico: The Plumed Serpent by D.H. Lawrence (1926); The Power and the Glory by Graham Greene (1940); Under the Volcano by Malcom Lowry (1947); Junkie by William S. Burroughs (1953); On the Road by Jack Kerouac (1957); Seduction of the Minotaur by Anaïs Nin (1958); Survivors in Mexico by Rebecca West (2003, posthumous); Mexico by James A. Michener (1992).